There are numerous trails at Blackhand Gorge. 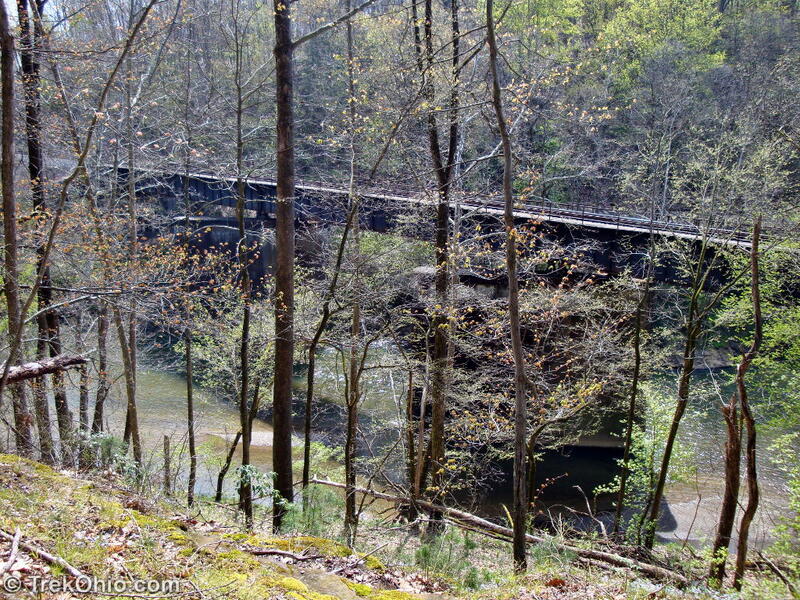 Our favorite is the Marie Hickey Trail and the Oak Knob Trail – a 2.5 mile loop. 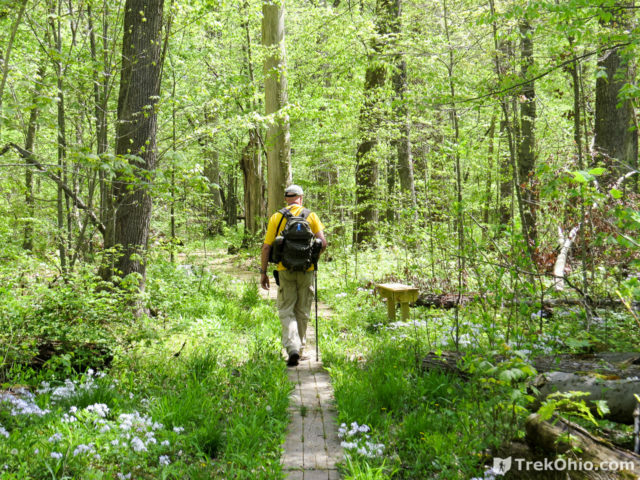 The trail features varied terrain, including a picturesque hemlock grove with a small stone gorge and waterfall. 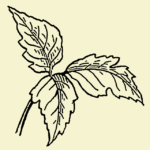 The trail features signs, but no blazes so parts of it are a little difficult to find in the fall when the trail is covered with leaves. 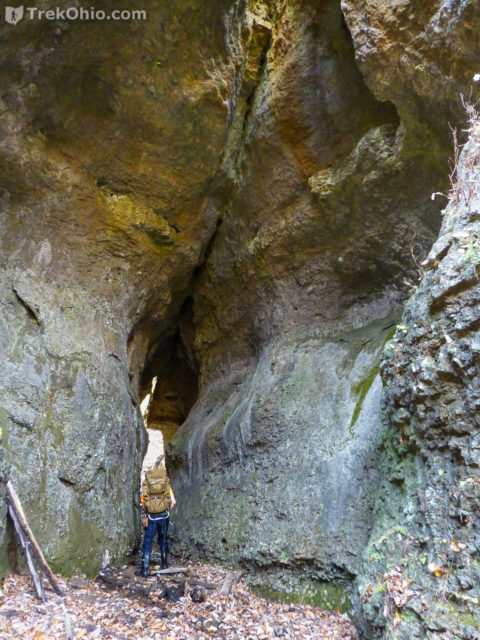 The hike is a little short, so we normally combine it with other trails at the preserve, such as the Canal Lock (and inter-urban tunnel) trail or the Quarry Trail. Dogs are not permitted at this state nature preserve. 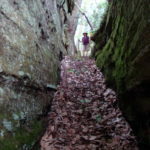 Christmas Rocks features two loop trails – an orange trail and a blue trail that can be combined into a pleasant 4.75 mile hike. The hike offers interesting flora, a scenic stream valley, forested ridges, and a stunning cliff-top view. The vista is especially colorful during fall foliage season. 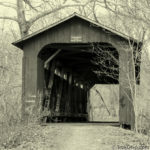 As a bonus, you can visit an old covered bridge at the start of the hike, and if so inclined, a couple more covered bridges in the vicinity (about 10 minutes by car). Dogs are prohibited at Christmas Rocks Nature Preserve. View from Jacob’s Ladder Trail at Christmas Rocks. Rhododendron Cove in Fairfield County is another hard-to-find nature preserve. An unmarked, gravel parking lot leads to a mown trail and then ascends to a ridge line. You’ll find unusual rock outcroppings and large numbers of Rhododendron Maximum (Great Rhododendron). If you’re lucky, you’ll get to see Rhododendron Maximum’s huge white and pink flowers. The hike is short — only 2.25 miles. But if you’re looking for more hiking in a scenic locale, drive up the road to the adjacent Wahkeena Preserve. Dogs are not permitted in either preserve. 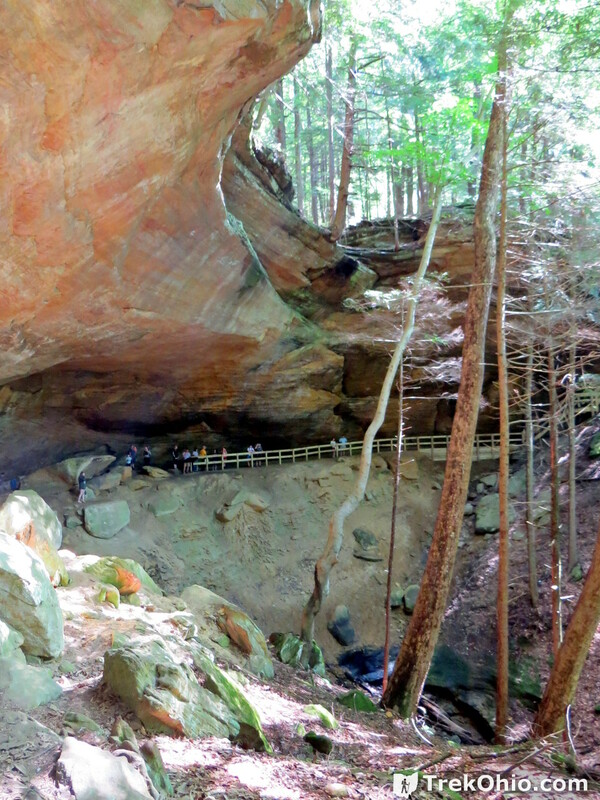 Hocking Hills State Park is the most popular park in Ohio, and with good reason. Picking a great hike from this park is not a problem. Choosing ONE great hike from this park is a bit difficult. 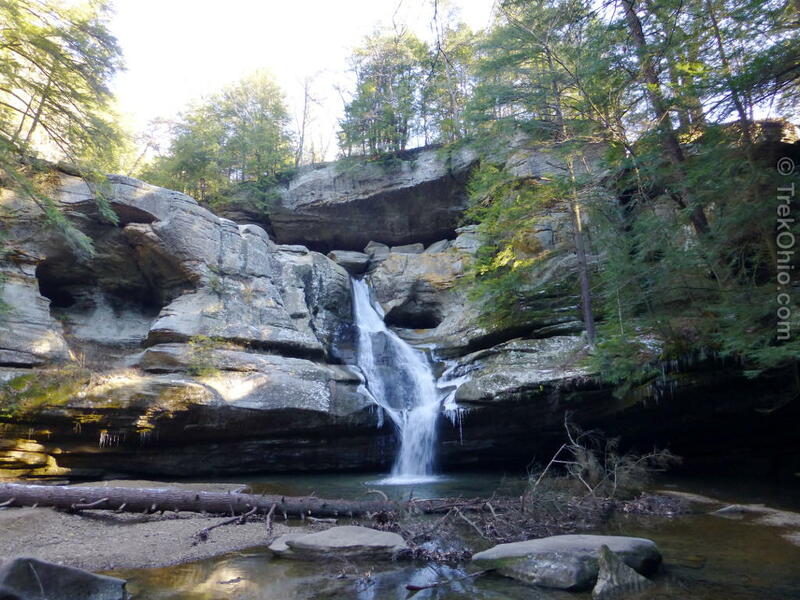 However, I can definitely recommend a 6 mile loop from Old Man’s Cave to Cedar Falls and back. Outbound, follow the trail from the Upper Falls through the gorge valley past the Lower Falls, and out to Queer Creek. Turn left and follow along the creek. 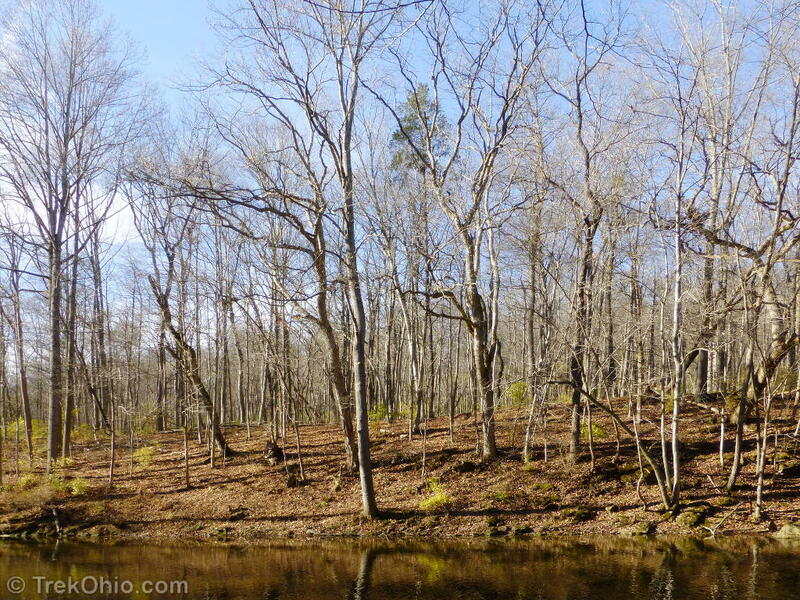 You will see blue blazes marking the Buckeye Trail. 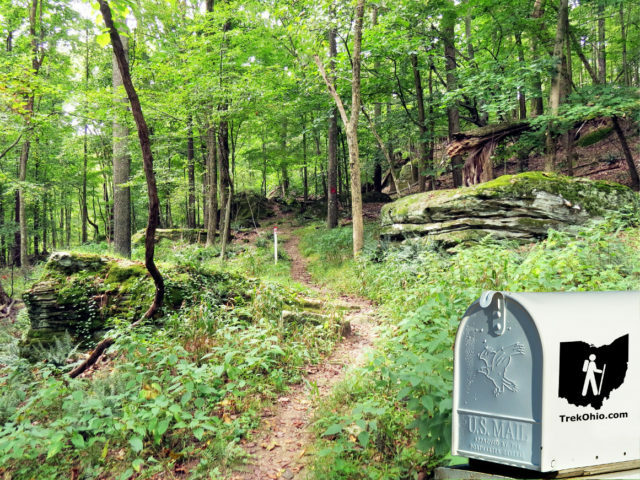 This portion of the Buckeye Trail is named the Grandma Gatewood Trail after the famed hiker. You’ll pass seasonal waterfalls, slump blocks, and small recess caves and eventually end up at Cedar Falls. An inclined side trail can (optionally) take you up to the parking lot, where you’ll find picnic tables, restrooms, and drinking water. Otherwise, take the stairs next to the falls, cross a small field and then an iron-bridge. This is the Gorge Overlook Trail marked with red marked posts. This trail leads to Rose Lake and then back to Old Man’s Cave along the upper rim of the gorge. 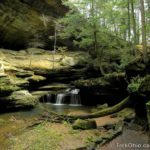 If six miles of Hocking Hills trails is not enough, ODNR opened some new trails to Whispering Cave. 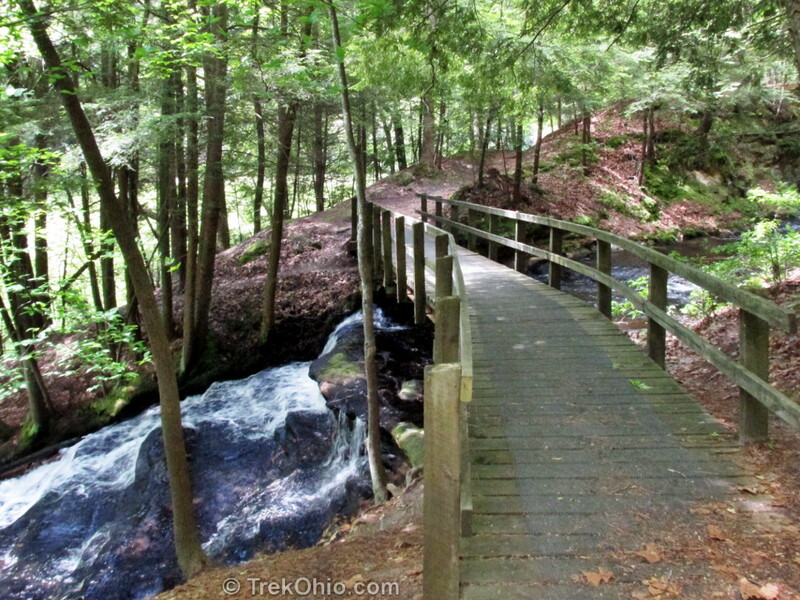 About half-way between Old Man’s Cave and Cedar Falls, you’ll see a sign for the Hemlock Bridge Trail. 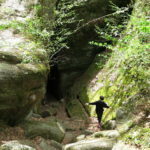 At this point, you’ll have the option of taking a side trip to cross a hikers suspension bridge and visit Whispering Cave – a sandstone recess cave in a steep box canyon. This will add a total of 1.2 miles to your hike. Take the Hemlock Bridge Trail 0.4 miles to the Whispering Cave trail. 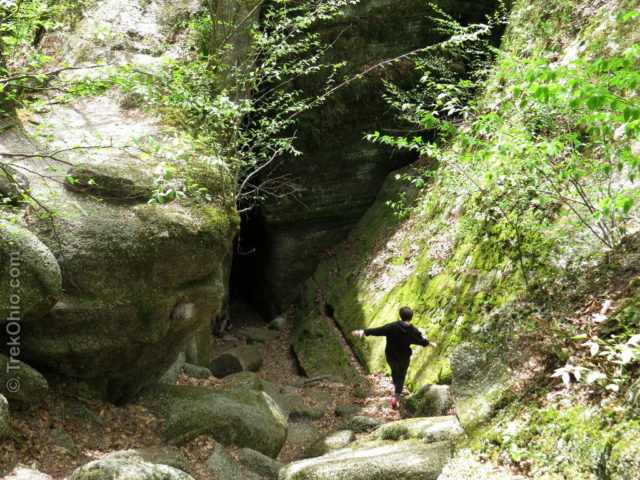 Then proceed 0.2 miles to Whispering Cave. Reverse the route to return to the Grandma Gatewood Trail and continue on to Cedar Falls. 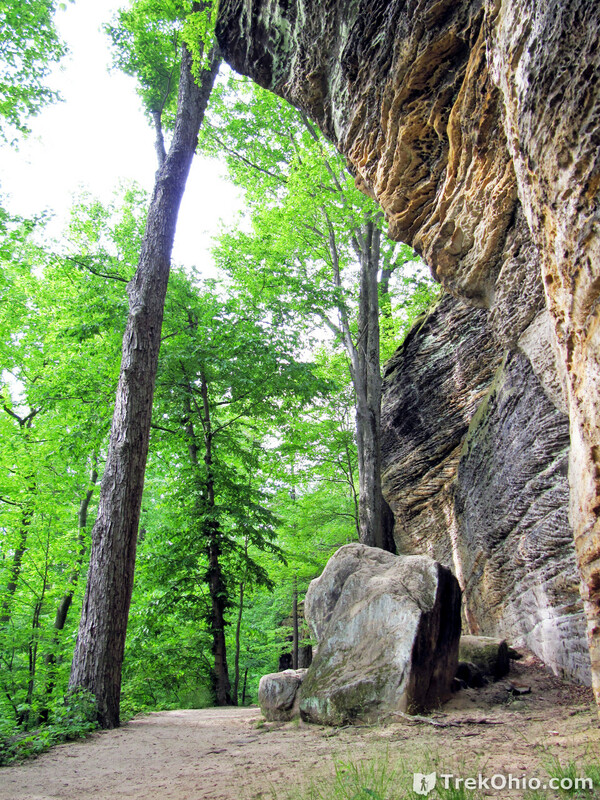 Conkles Hollow in Hocking County is the most popular state nature preserve in Ohio. 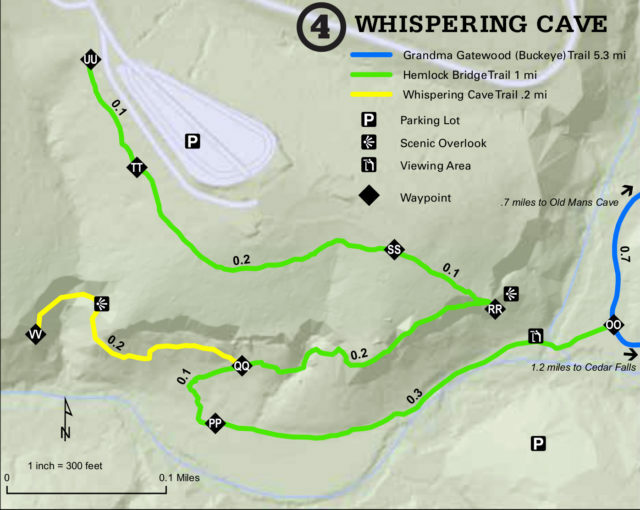 It features two trails: the flat, paved but very scenic Gorge Trail, and the Rim Trail, which is a 2.5-mile trail that loops around the periphery of the gorge rim. The rim trail has amazing vistas and while scenic year round, it is spectacular when fall foliage is in full display. It is not suitable for small children or people fearful of heights. Dogs are not permitted in the preserve. 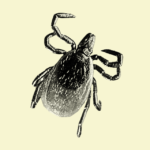 Hikers should proceed with care and stay on the trail at all times. 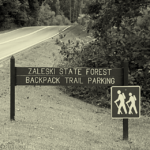 For more hiking nearby, the trail head for three nice hikes in Hocking State Forest begins a mile up Big Pine Road from Conkles Hollow. Located in Scioto County, Shawnee State Park and the surrounding state forest have 72 miles of hiking trails and another 75 miles of bridle trails. 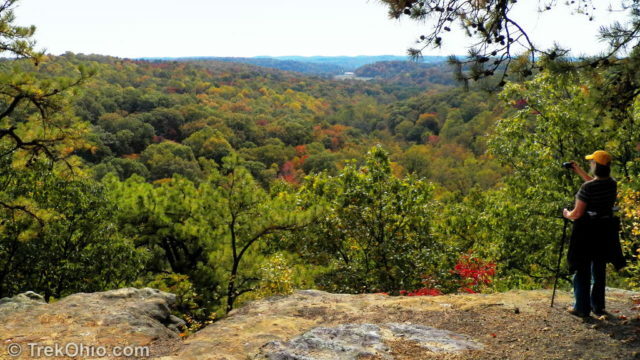 There are now three possible hikes starting at the Shawnee State Forest Day Hike trailhead. A new 4.2 mile loop, the classic 7.2 mile loop, and an extended 8.4 mile loop. All three hikes can be accurately described as ‘strenuous’. The classic 7.2 mile hike is a large loop that ascends a 600-foot ridge, goes down the other side, ascends another 600-foot ridge, follows the ridge line, heads back down, and then up and over the first ridge. It is heavily forested most of the way. The new 4.2 mile loop and the extended 8.4 mile loop include a vista that is particularly colorful in the fall. Dogs in good physical shape are permitted on these hikes. Note: be sure to check the ODNR Shawnee State Forest web site below as trails may be closed due to logging activity in the state forest. 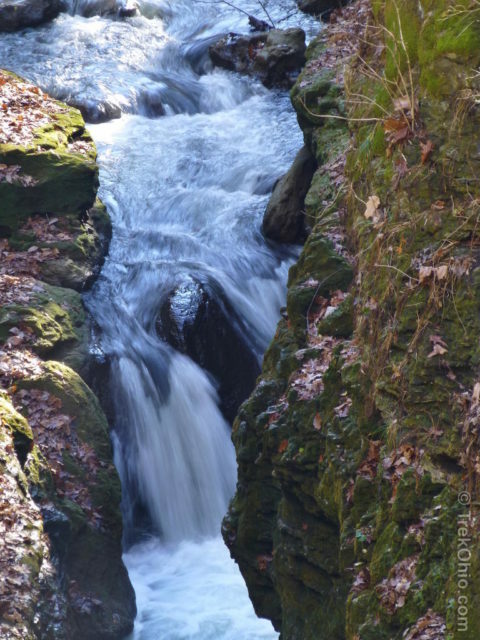 Clifton Gorge has 3 miles of trails along the edge of a narrow gorge of the Little Miami River. These trails connect to the 11.4 miles of trails at adjacent John Bryan State Park, allowing for a longer hike. From the parking lot near the Nature Center (off of SR-343), the 1/2 mile (one way) Narrows Trail passes several observation decks overlooking narrow sections of the gorge, rapids, and waterfalls. At the end of the trail – you’re about a block away from Clifton Mill – a historic mill that has a restaurant. Upon returning from the Narrows Trail, we typically take the Gorge Trail which follows along the shore of the Little Miami River passing large slump blocks, a seasonal waterfall, and a slump block cave. At the preserve boundary, the trails continues into John Bryan State Park, following the river along either side. A wooden pedestrian bridge crosses the river near the preserve / park boundary. You may return the way you came, or take the Rim Trail which ascends to the gorge rim near the preserve / park boundary and also returns to the parking lot. Dogs are not permitted at the Clifton Gorge Preserve, but are allowed at John Bryan State Park. In addition to Clifton Mill, Young’s Dairy is another nearby restaurant that is great for an after hike meal. 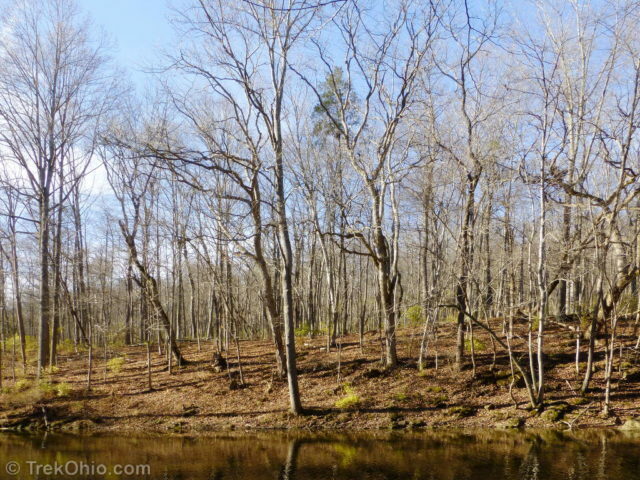 Fort Hill in Highland County has 11 miles of nature trails including a segment of the blue-blazed Buckeye Trail. The hilly terrain includes two Native American earthworks, Baker’s Fork gorge valley, and three natural stone arches. In the spring, you can find a profusion of wildflowers. 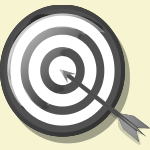 There are many trails and you can create hikes of various lengths to view features of interest. If the water is low at Baker’s Fork, we highly recommend the Canby’s Mountain Lover Trail. You will need to ford Baker’s Fork at two points to access this trail. 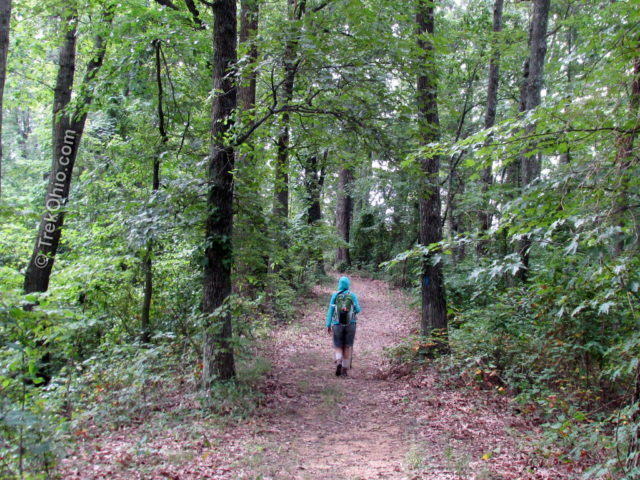 The trail follows a ridgeline on the other side of Baker’s fork. However, the most interesting feature of the trail is Keyhole Arch – a twenty foot high stone arch embedded in a hill side. 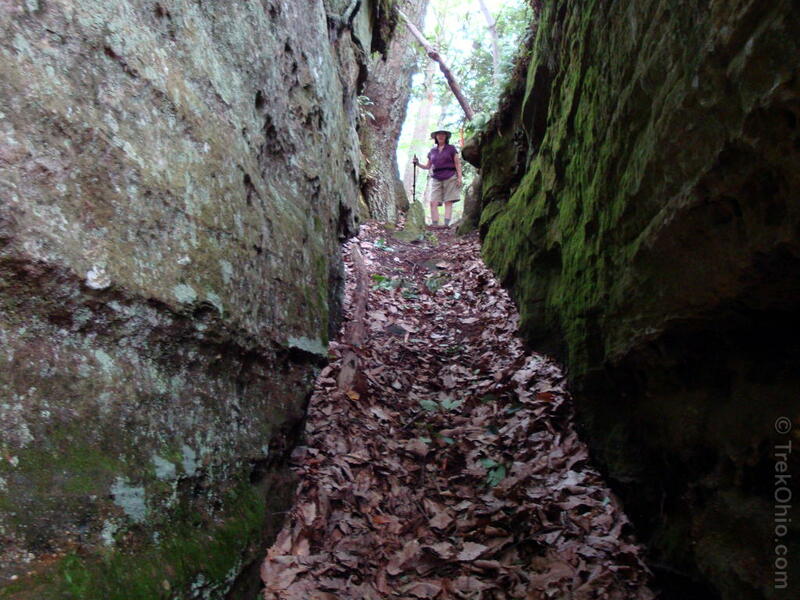 After crossing Baker’s Fork, the trail goes through Keyhole Arch. Dogs are permitted at Fort Hill. After hiking at Fort Hill, we usually stop at Country Crust Bakery (4918 State Rte 41, Bainbridge, OH 45612) – an Amish bakery near Fort Hill. Their soft hot pretzels are amazing. Bob entering the Keyhole Arch. Lake Katherine Nature Preserve located in Jackson County has 6 miles of hiking trails. 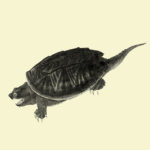 The trails are very scenic and go by hills, cliffs, a waterfall, and the lake that gave the preserve its name. In the spring the preserve is a great place for spring wildflowers. Dogs are not permitted at the preserve. The trailhead for the Buzzardroost Rock Trail is off of OH-125 in Adams County. 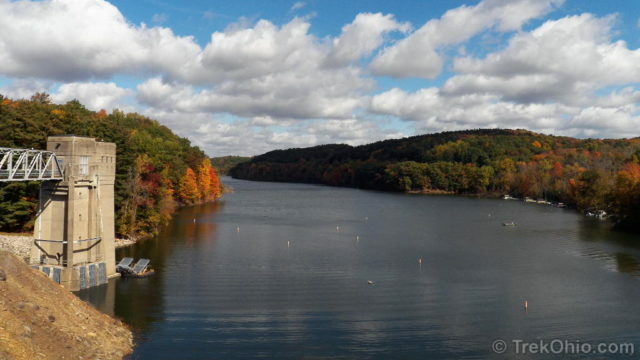 It is about a half-hour drive from the lodge at Shawnee State Park. 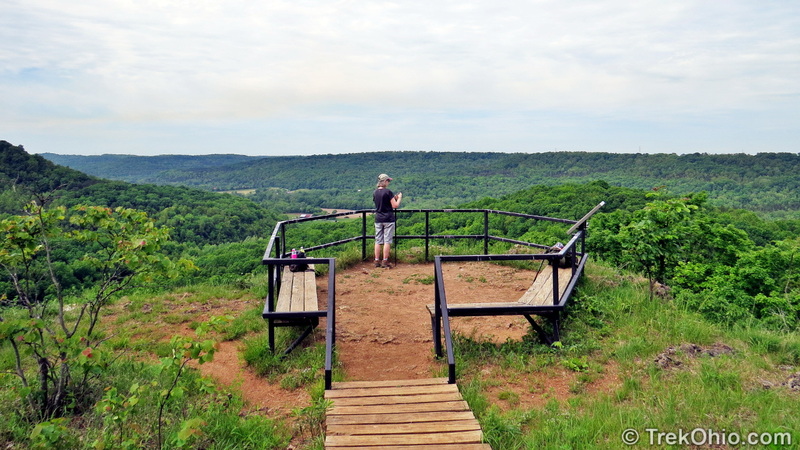 The hike is 2.2 miles one-way (4.4 miles round trip) and culminates in a stunning vista overlooking the Ohio Brush Creek valley. The hike to the vista goes by steep cliff edges, streams, forest, rock-outcroppings, and prairie. About a mile in, a new trail has been added that goes through an area of prairie. 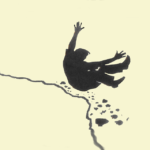 You’ll have to decide whether to take this trail or another that goes along the cliff edge. Don’t worry, they both end up at the vista, so you can take one trail outbound and the other on the way back. Cruiser’s Diner (155 Stern Dr, Seaman, OH 45679) is a nice place to stop for a meal or just a milk shake after a hike at Buzzardroost Rock Trail. 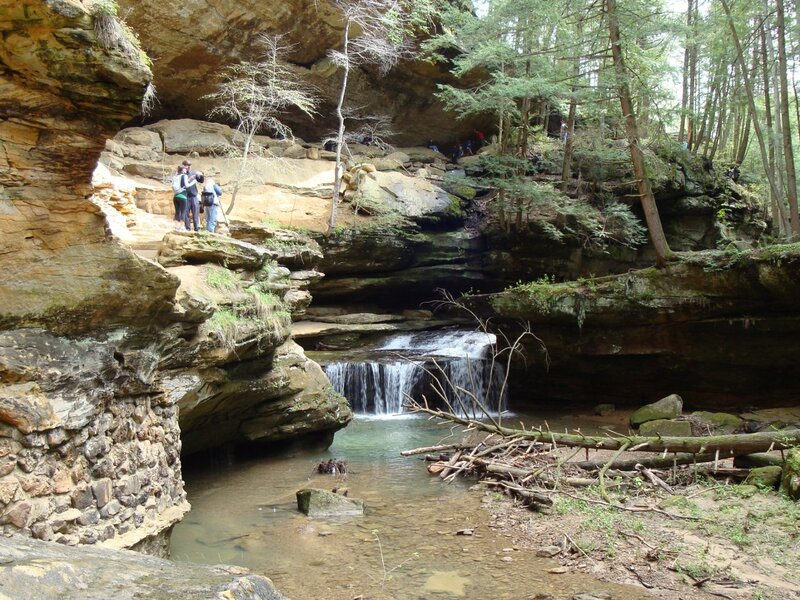 We’ve often hiked at Mohican State Park and have a favorite route. Starting at the south end of the covered bridge (opposite the picnic area and latrines), enter the trail to the west. Follow the trail parallel to the river and then take the turn-off for Big Lyons Falls. 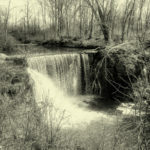 After viewing the falls, ascend the wooden stairs and proceed to Little Lyons Falls and then on to Pleasant Hill Dam. The dam offers a scenic view of the Clear Fork valley on one side and Pleasant Hill Lake on the other and is particularly colorful in the fall. Proceed down the grassy face of the earthen dam crossing to the other side of the river. Follow the flat trail along the river back to the covered bridge. Total distance is about 4 miles. Dogs are required (just kidding, but they are permitted here). Note: when we visited Mohican in spring 2018 the trail had seen some significant upgrades with new bridges and boardwalks over wet areas of the trail. A new restroom had been completed at Pleasant Hill Dam. We often stop at nearby Malabar Farm Restaurant for a meal after hiking at Mohican. Other area restaurants include the dining room at Mohican Lodge and Der Dutchman. View from dam at Mohican State Park. 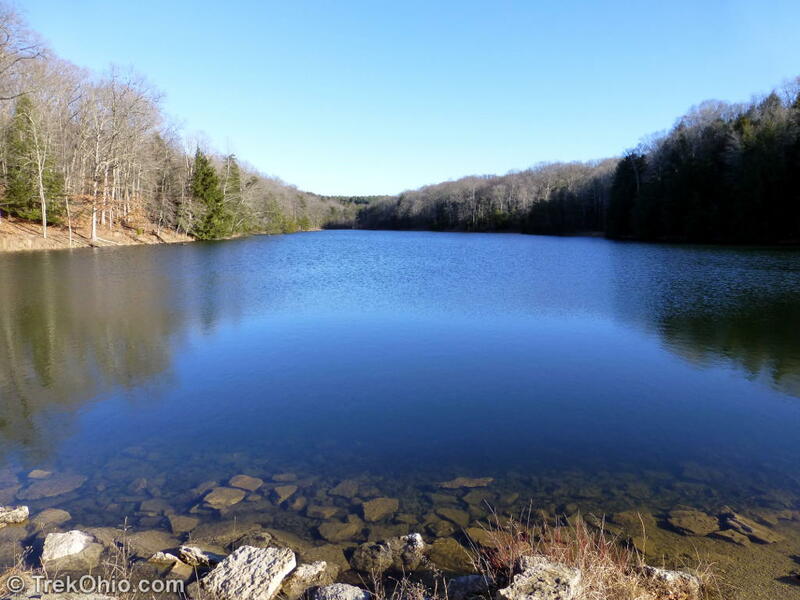 On our recent trip to Nelson Ledges State Park, we left the park with a big smile on our faces. The park only has 3 miles of trails, but they are amazing trails. They twist through a maze of rock chasms and slump blocks and our hike ended with a view of a cascading waterfall. 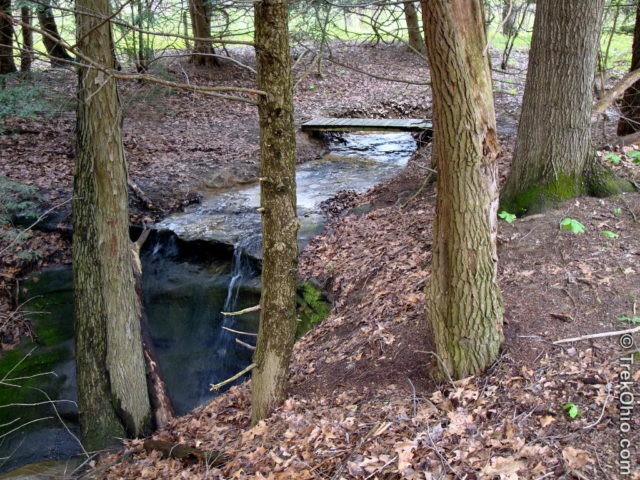 Cuyahoga Valley National Park between Akron and Cleveland is the only national park in the state. 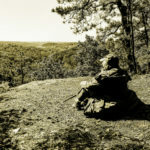 It is over 20,000 acres and features 125 miles of trails. 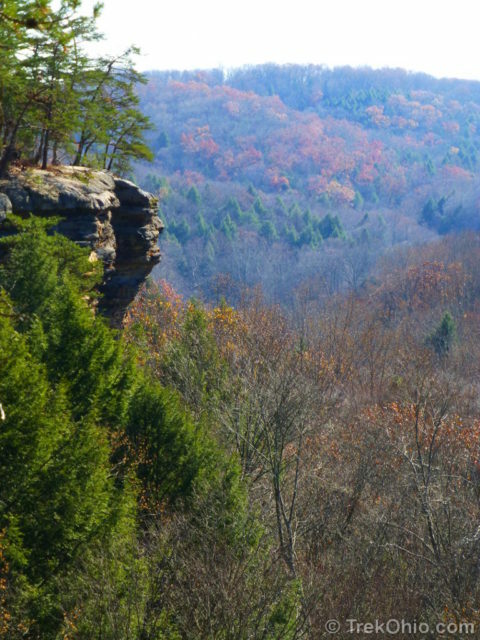 One of the most popular trails is The Ledges Trail. Although the trail is a relatively short 1.8 mile loop, it packs in some amazing scenery such as towering cliff walls, narrow crevices, huge slump-blocks, and a stunning overlook. After you’ve finished, if you’re still ready for more hiking, three waterfalls are a short drive away. 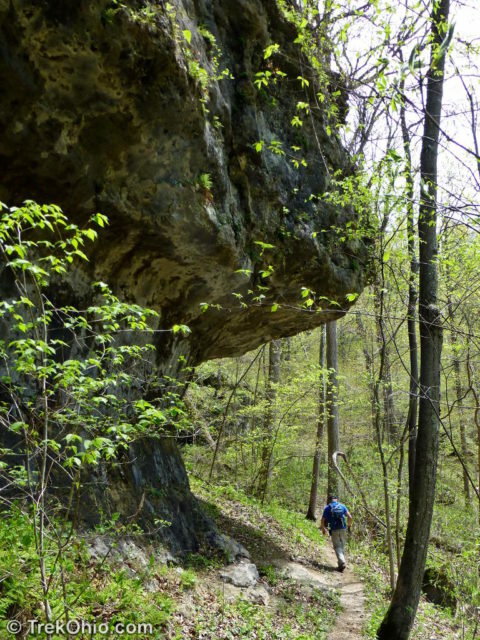 If you’re up for more cliffs, crevices, and rock outcroppings, there’s Gorge Metro Park, a 16-minute drive away. 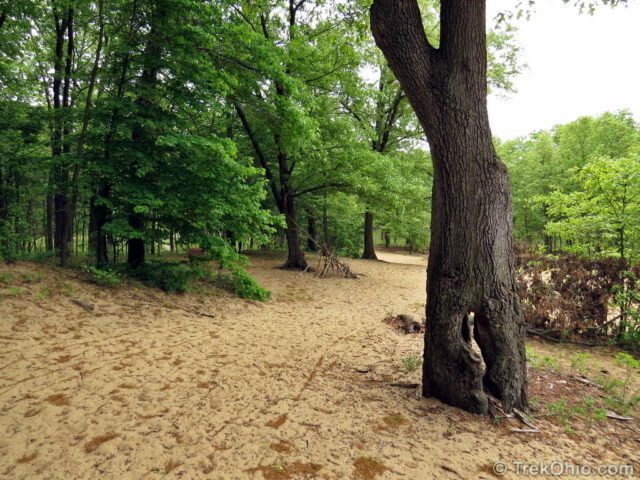 Oak Openings Metro Park has over 30 miles of trails and very diverse terrain. During the spring bird migration it is a premier site for bird watching. Our trip there was brief, hiking the 1.7 mile Sand Dunes Trail which features deciduous woods, a pine forest, meadows, and sand dunes left over from an ancient lake. We also hiked the 1.9 mile evergreen trail. We look forward to a return trip to explore more of the 4,000 acre park. Dogs are permitted. Goll Woods is a 325 acre nature preserve featuring 5.25 miles of trails with views of the Tiffin River and a hundred acre section of old growth forest. 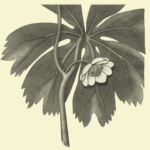 The old growth forest includes some trees that are 400 years old with a diameter of 4 feet. Goll Woods is also known for a rich display of spring wildflowers. 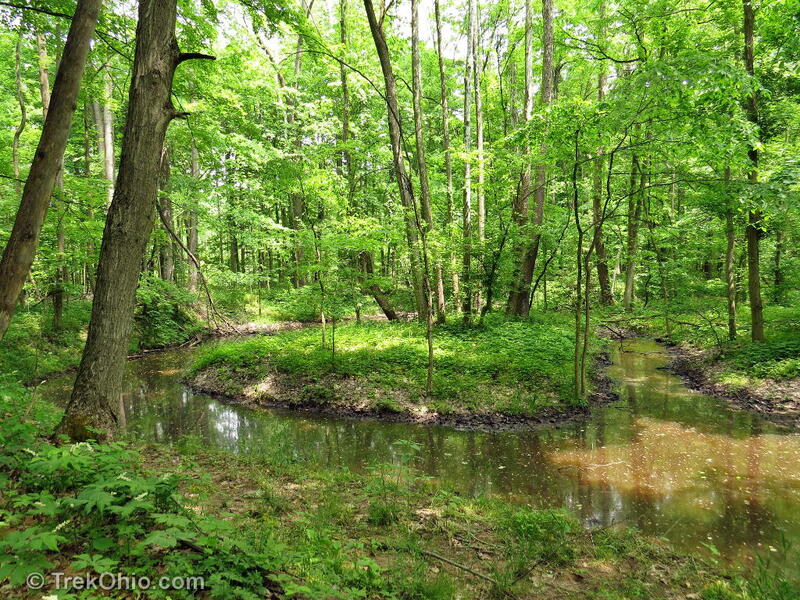 Dogs are not permitted at Goll Woods or any other Ohio state nature preserve. Augusta-Ann Olsen has 3.5 miles of trails. We hiked there in the third week of May and it was filled with a variety of wildflowers. 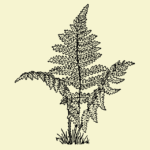 The trails are diverse featuring meadows, deciduous and pine forests, high cliffs, and the rocky banks of the Vermillion River. Dogs are not permitted. Do you have a favorite hike that we didn’t mention? Tell us about it in the comments below. 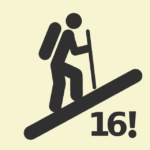 Share the post "Sixteen Great Hikes in Ohio"